A one-off TVR prototype, nicknamed ‘White Elephant’, stars at The Footman James ‪Classic Car‬ Show in Manchester this weekend. 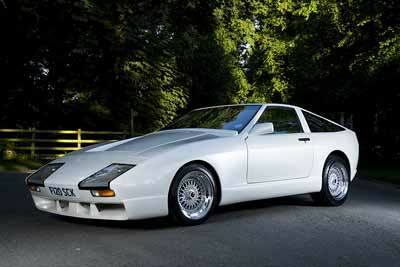 This one-off TVR prototype dubbed ‘White Elephant’ was built for the late Managing Director of TVR, Peter Wheeler. Registered in September 1988, the car was his personal transport, fitted with extra’s to enable him to indulge another passion, game shooting. 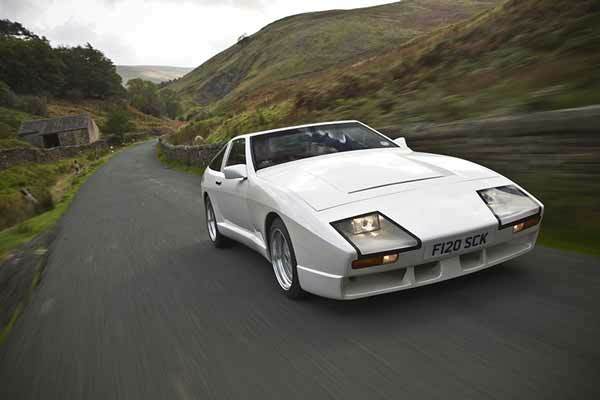 The White Elephant uses the nose from a previous TVR prototype but also boasts a number of marque firsts. It’s the first TVR to be modelled using quick drying expanding foam, the first with a horizontally mounted radiator and with a number plate lit from inside the cabin. Mounted under the front bonnet is an experimental build 5.0 litre V8 race engine, given to Peter for evaluation by Holden. The chassis a taken from a TVR SEAC racing car. The car also boasts several quirky features to allow it’s owner to indulge in his hobby of game shooting. Behind the passenger seat a countersunk dog basket to keep gun dog Ned comfy. While a hidden compartment in the rear cabin can conceal boots, shotguns, cartridges and pheasants. The TVR White Elephant is one of many TVRs, including one of the last Sagaris produced, on show at the Footman James Classic car show. The event takes place at EventCity in Manchester on September 17th and 18th. Find the car on the TVR Car Club stand in Hall 3.